As one draft finishes, we now can look forward to the next one, the REAL Draft... of 2010. As we all know or at least have figured out, the Jazz could be well-positioned (cross your fingers for a New York Knicks meltdown next season) for a super-haul of draft acquisition next year. If the Knicks don't qualify for the 2010 NBA Playoffs, the Jazz will acquire their lottery pick. In like manner, if the Jazz don't make the 2010 Playoffs (which I'll never wish for), we'll keep our own pick in the lottery, potentially offering two lottery picks and hoping for at least one. 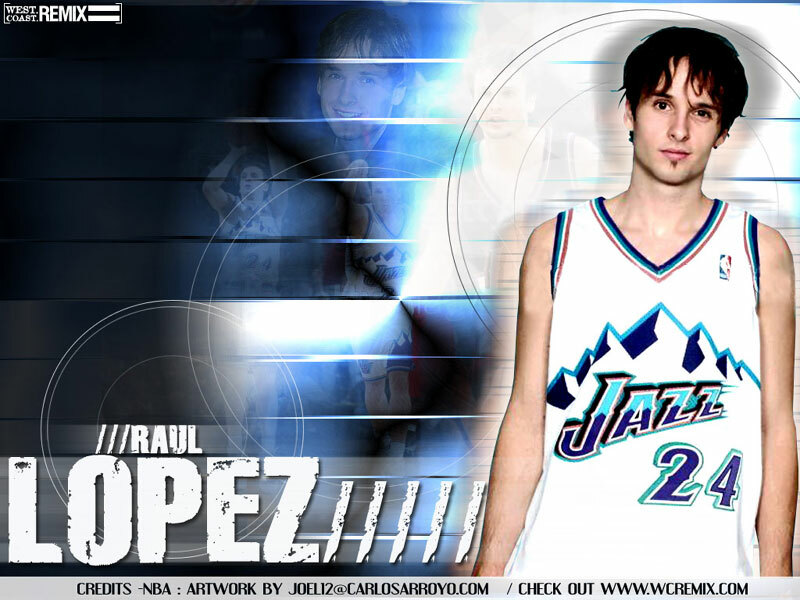 The Jazz could have a huge impact on the 2010 Draft, and especially, solidify the long term future of our franchise. One reason for causing the early giddiness and enthusiasm for 2010 is the fact that next year's draft crop will be stock-piled and front-loaded with immensely talented players with star-power. Unlike this year, which only lauded one star-talent (Blake Griffin), next year could potentially offer 5-10 super-studs coming into the pros. And hopefully, the Jazz will be positioned for the plucking! 1. John Wall, PG, Kentucky: Wall has been compared to Derrick Rose for his quickness, speed and athleticism. He's a magician with the ball, and can get into the lane at will. People consider him the consensus #1. 2. Ed Davis, PF, UNC: Davis would have been a Top-5 pick during this draft, had he come out. He's athletic, and a good shot-blocker. There's some similarity to Chris Bosh. 3. Derrick Favors, PF, Georgia Tech: The 6-9 true frosh is another long, athletic, run-jump type. He plays with a good motor in the paint... fearless and strong. Comparisons are favorable to Josh Smith, with a little Amare'. 4. 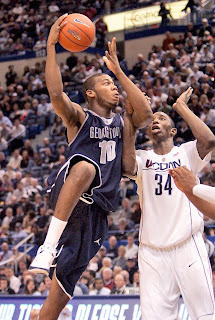 Greg Monroe, PF, Georgetown: A skilled 6-11 power forward with a lot of potential. He should have a break-out season next year. Gets compared often to Chris Webber... with his skill-set and feel for the game. Would have been drafted in the Top-10 this year. 5. 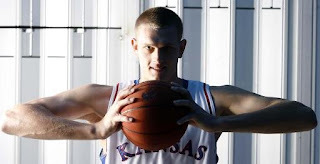 Cole Aldrich, C, Kansas: Aldrich dominated the paint this year for Kansas. He can block shots and rebound (15 & 11). Chris Kaman-esque. 6. 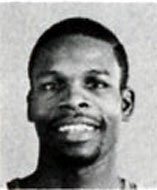 Willie Warren, G, Oklahoma: Combo-guard played in the shadow of Blake Griffin. Plays a lot like Ben Gordon from the Bulls. Can shoot extremely well from the perimeter. 7. Donatas Motiejunas, PF, Lithuania: I've never seen him play. He's a 7-footer with skills like Toni Kukoc. Some compare him to Dirk Nowitzki. He sounds like Fesenko to me... funny. 8. Al-Farouq Aminu, SF, Wake Forest: Aminu was the best player on Wake (better than Teague and James Johnson). Should have a break-out season. He's got skills similar to Luol Deng. 9. Evan Turner, SG, Ohio State: Turner already averaged 17 ppg and 7 rpg for the Buckeyes. If anyone rises the board fast, it'll be Turner. He plays similar to Brandon Roy and Grant Hill. 10. Devin Ebanks, SF, West Virginia: Talented, athetic, run-jump player who will make serious strides in year 2. Averaged 8 rpg as a freshman... wow! Comparisons are favorable to Rudy Gay. 11. Jon Henson, PF, UNC: The true frosh is skinny, skinny. But he has serious talent and athleticism. He's likened to Anthony Randolph from Golden State. 12. Craig Brackins, PF, Iowa State: Averaged 20 ppg & 9.5 rpg for the Cyclones. Under-the-radar player who's extremely versatile as a scorer. Scored 42 against Kansas this past year. Could rise the board. 13. Solomon Alabi, C, Florida State: Never seen him play. Some suggest he's a center in the mold of Hasheem Thabeet. Averaged 8.4 ppg, 5.6 rpg and 2.1 bpg as a 7-1 freshman. 14. Patrick Patterson & DeMarcus Cousins, PF, Kentucky: The Kentucky duo will be tough this year. Patterson would have been a Top-20 pick this past draft. Averaged 18 ppg & 9 rpg. Plays similar to Millsap. Cousins is bigger and stronger, 6-10 250. Heralded as one of the top incoming freshman. His size and strength remind people of Eddie Curry. Fantastic summary, Guru. Here's to hoping that the Pistons sign David Lee. Pistons A No-Go For Boozer? What To Expect From The Draft?